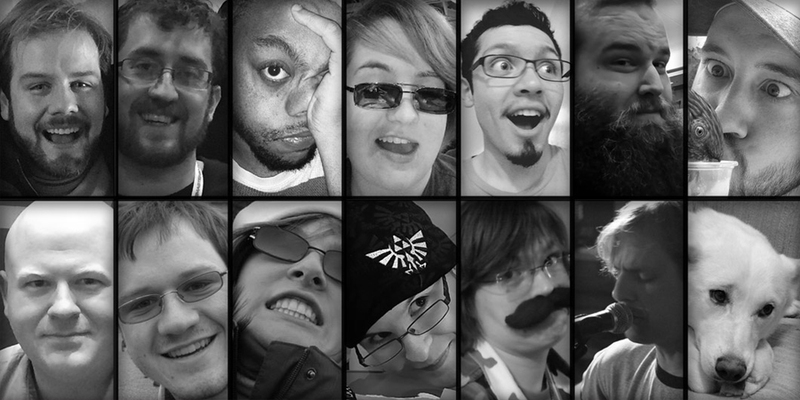 We’re Fractal Fox, an Indie Game Studio based out of Dallas, TX, but our team is spread across the United States. We’re a small but highly dedicated team with a passion for making games that connect players through the stories they create. We make independent, self-published games primarily for the mobile market and are starting to branch into other venues of game publishing. Given that our company has grown to be spread across the United States, our in-house communications were scattered across multiple platforms both in real space and the internet. It was very ad hoc, without an easy way organize it and couldn’t be seen holistically. We managed Due Dates and To-Dos through email. Updates would often be done over telephone. Dogs and Cats. Living together. Mass hysteria! It was frustratingly difficult for individual employees to hold themselves accountable to project due dates without constant oversight, or to know who was accountable for what and how their actions affected other members of the team. A lot of our project manager's time was spent on the phone, acting as a go-between for different groups who otherwise weren’t in direct communication or didn’t even know they needed to be in contact. After realizing that carrier pigeons would be an equally efficient communication, we realized something needed to change. Unfortunately, the 2014 Pigeon Union Strike squashed that plan. Thankfully, ProofHub existed, and with less mites. Before ProofHub, we spent far too much time trying to solve these problems, instead of the problems we wanted to be working on. ProofHub streamlined everything and allowed us to do the jobs we all wanted to be doing. ProofHub took away the barriers that prevented our team members from accessing the information they needed. They now have easy, understandable access to the resources and information of other team members. The ability to assign multiple people to a single task, as well as the ability to tag items as To Do and to set priorities, helps to make sure everyone knows what and where they need to be working. The ability to create custom tags in particular has allowed us to mark projects at each stage of production. All of this means that each person knows not only what they need to work on, but also who else is working on it and who is waiting for what task to be completed. The sum total of all this is a very clear measure of our End Goals so the whole company can see the progress being made, which is a massive boost to company morale. ProofHub took away the barriers that prevented our team members from accessing the information they needed. In addition, ProofHub is an excellent place to store all our documents and files where they can be easily accessed by everyone. No longer do you need to find out who is holding onto what file or wait for it to be sent. This central nexus of ideas also doubles as an open forum for discussion about projects or ideas. Games are an inherently collaborative effort, so the ways that ProofHub enables collaboration allow us to set our priorities, instead of the software making us work around its limitations.